Light weight yet durable, K&N's Generation 2 Carbon Fiber Air Boxes are a must for any racer currently using traditional multi-Siamese stacks. Constructed from ultra-lightweight carbon fiber these filters provide ample air flow for your racing needs. They come with air horn seals to provide better sealing and easy installation. 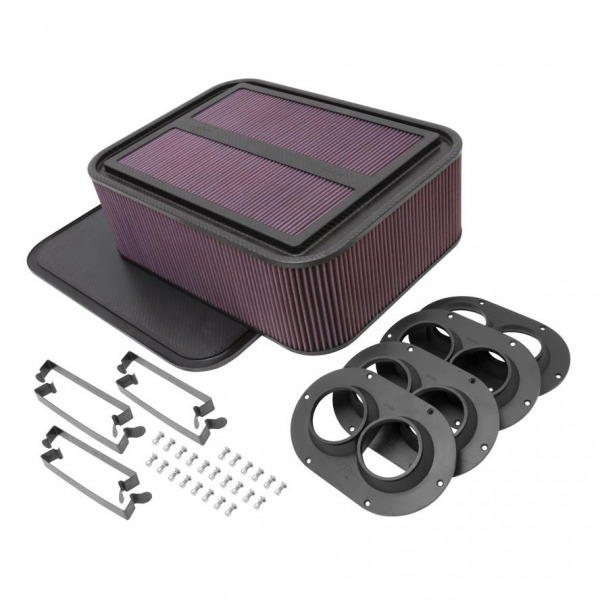 As with all K&N air filters, Generation 2 Carbon Fiber Air Boxes are washable and reusable. Simply use K&N cleaner and oil to service your filter.